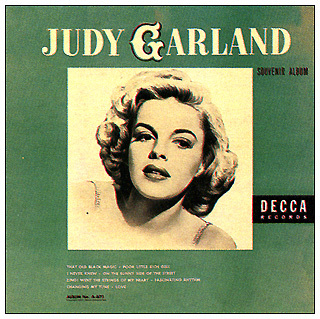 Judy's last contract with Decca had been over for two years when this album came out. The first Decca compilation of Garland songs since that time. Over the years, Decca would release various compilation albums in the 78 rpm format, the 45 rpm format, and the 33 1/3 rpm format.